Chatting Over Chocolate: Five Loves on Friday // Summer Memories are Made of This! Five Loves on Friday // Summer Memories are Made of This! Hello, friends! I hope this Friday finds you well. 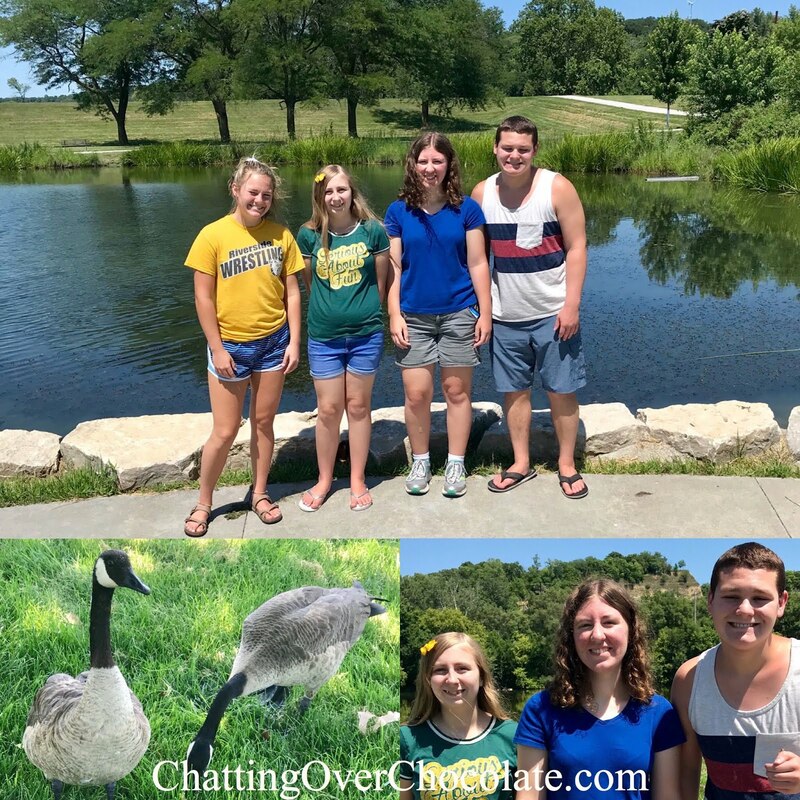 My family has enjoyed the kind of week that summer memories are made of! I'm looking forward to sharing it with you today and capturing the precious memories here for my family to look back at in the years to come! Let's get right to those five loves, shall we? *This week's loves are listed chronologically. There is no way I could possibly pick a favorite among these fab faves! 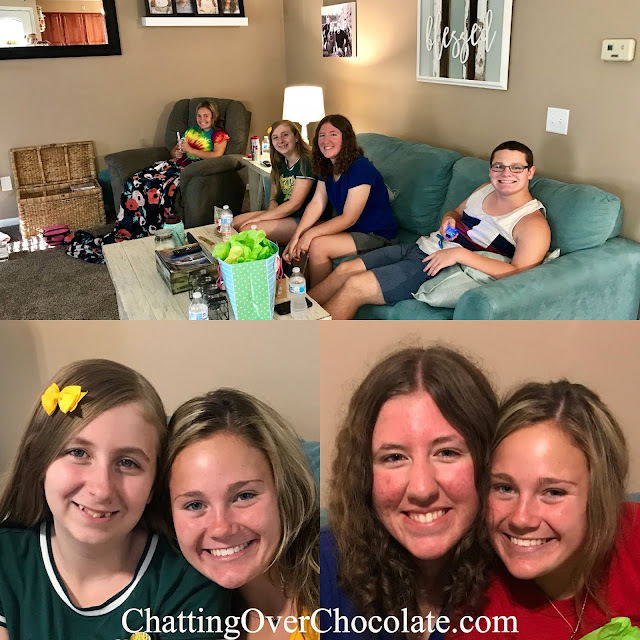 One // Language Lovers' Sleepover, Grandparent Time, and a Date Night! My oldest daughter, "Princess", has a passion for learning languages. She's currently been focusing on Korean and Japanese. My sister-in-law shares this interest which has been a source of fun and bonding for them. Friday night Princess headed over to her sweet aunt's home for an evening of themed fun and deliciousness! They began the night with scrumptious Korean takeout and wrapped it up watching some Japanese and Korean television shows on Netflix. It was such a fun time for them which made this mama's heart full! Meanwhile my youngest, "Little One", went to spend some special time with my parents. Having your grandparents all to yourself means fun quality time and extra spoiling! My mom told her she could have whatever she wanted for dinner. She originally couldn't decide between going out for McD's chicken nuggets and "Grandma's hash browns". My mom thought, "Why choose?" 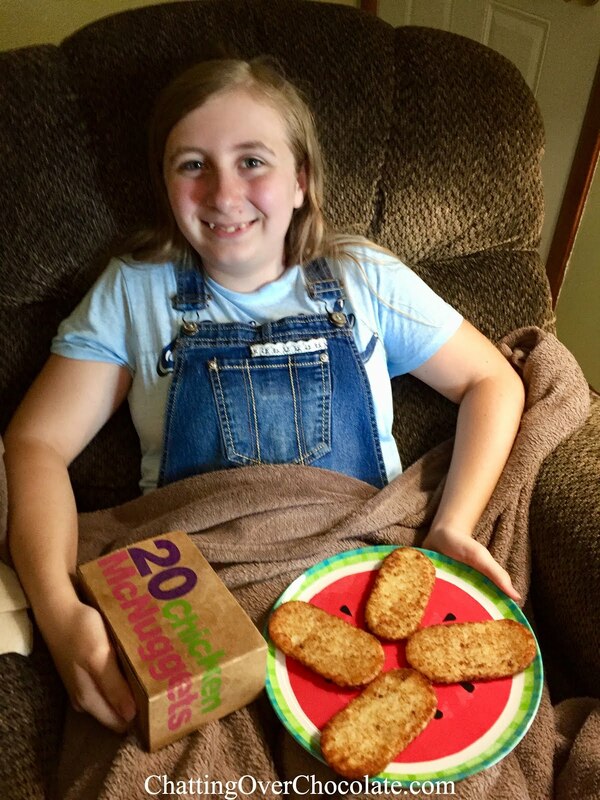 My parents ordered her a heaping helping of nuggets to go and prepped plenty of hash browns back home too. 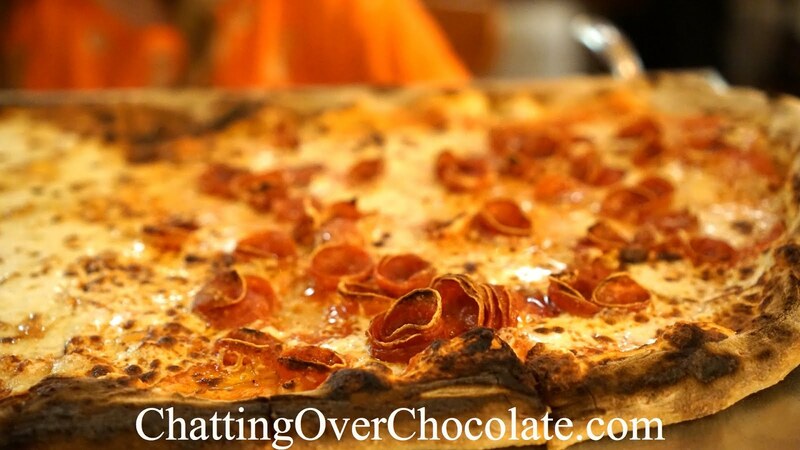 This made for a giddy girl, and multiple meals of some of her favorites! They enjoyed a fantastic Friday night together, just the three of them! Having both girls away meant Jason and I had the house to ourselves for the night. We opted for a quiet couple's evening in all snuggled up on the couch with delicious eats and fun and frivolous tv time. Simple pleasures are sometimes the best! Saturday we went to my sister-in-law's home for lunch and spent a full afternoon together on into the evening hours talking, laughing, and enjoying fellowship with her family. We don't see them all that often making this fun time together a true treat! 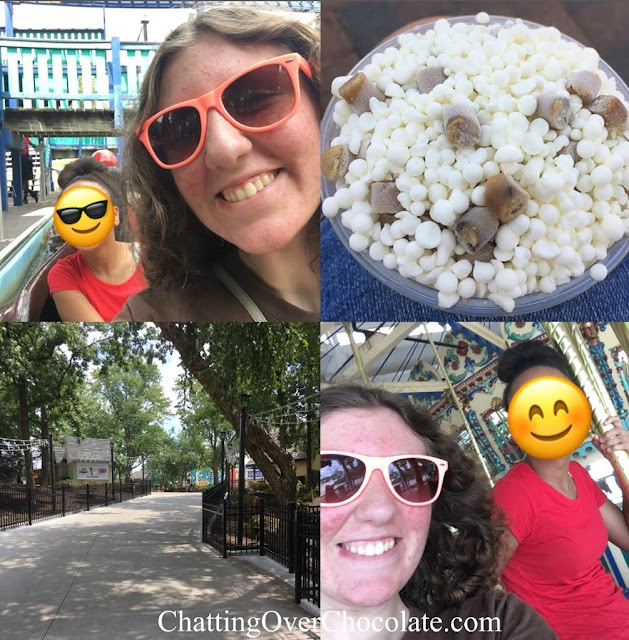 Monday Princess joined our church's high school youth group for a three hour road trip to an amusement park for the day. They had the best time! She said they basically walked right on to each ride with no wait! Her thrill seeking heart got its fill of rollercoasters, riding each of them repeatedly! On the drive home they had a party room reserved along the route for pizza too. From all I've heard and seen it sounded like a perfect park day with friends! While Princess was feeling the breeze between her curly locks and my husband was off at work paying for the fun (ha!) Little One and I enjoyed some one-on-one time! We spent it marathoning a fun show of her choosing between chowing and chatting. It was such a fantastic day with my littlest love! My sweet sister and her darling family live a ways away which means we don't see each other as often as we'd all like, but that also makes the time we do have together all the more precious and cherished! She drove into town to pick up my girls on Tuesday afternoon and the fun began instantly! They headed to a nearby lake and park for fun in the sun, feeding geese. 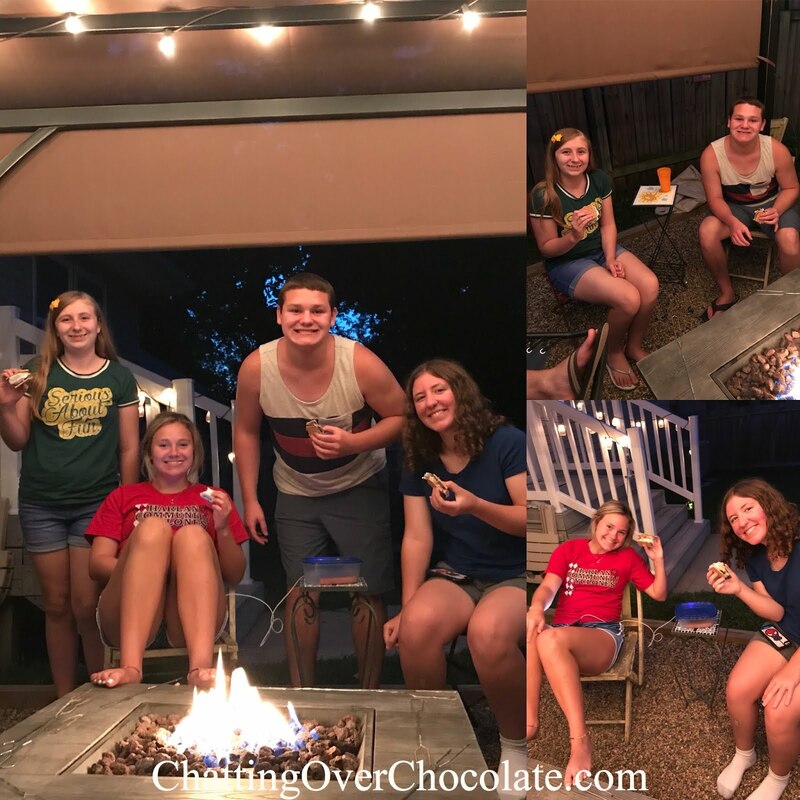 Afterward they drove out to her beautiful home and spent time gaming, grilling, roasting marshmallows for s'mores under the stars, and watching fun flicks until they all fell asleep after a day filled to the brim with fun! When I receive pics like these while my girls are away, my heart skips a beat! Love my family! Five // Looking Back at my Daughter's Sweet 16 & Looking Forward to my 40th! This week I completed a two part recap of my firstborn's Sweet 16 at Walt Disney World. 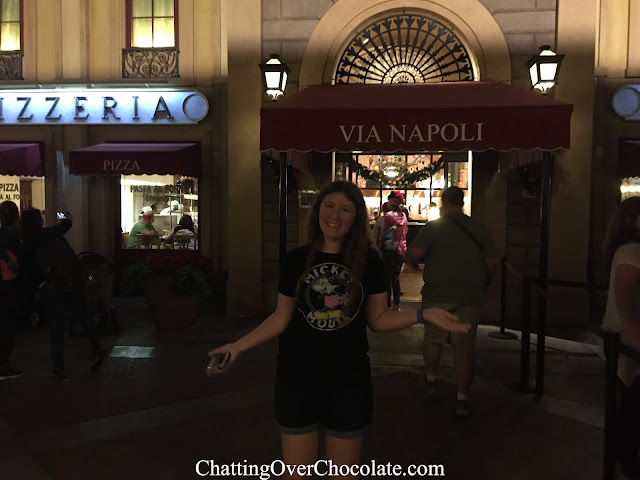 If you missed it you can see our day celebrating in Magic Kingdom here and evening in Epcot followed by a girls night out at Disney Springs here. It has been such a delight to reminisce about her milestone birthday! Thank you to everyone who has stopped by to hear about the sweet deets! Speaking of milestone birthdays, as I type this I'm also thinking about a BIG milestone I'll be celebrating at Disney World in just over a month and a half! 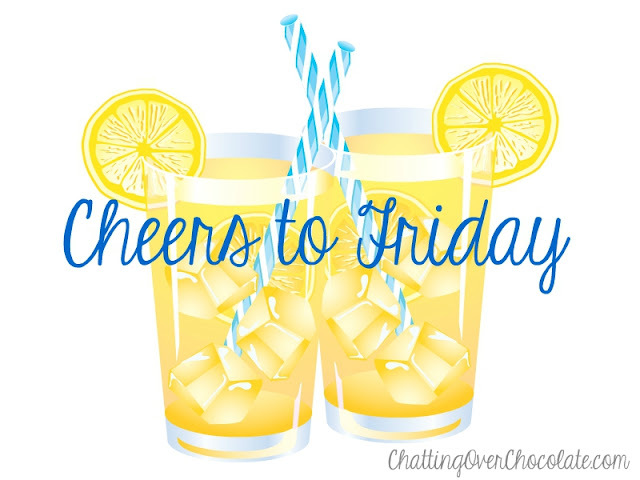 I have so many fabulously fun and delightfully delicious (naturally) plans for that day! I can hardly wait to enjoy celebrating with my favorite people in my favorite place! I know that some people really dread beginning a new decade of life, whether it's 30, 40, 50, 60, or beyond. This has never been an issue for me. I'll simply say this, life is a gift. I've been reminded even more so this week as I grieve for one of my dearest friends who lost her dad unexpectedly and for the family of a neighbor who we expected to have nearby for years to come, yet left us last week. Life is precious, and fleeting. Tomorrow isn't promised. I praise God for today, for the breath in my lungs and yours as you read this right now, friend. I pray neither of us will take this day for granted. Express your love and appreciation to those around you. Give thanks to God for the life He's given you and the many unnoticed blessings that surround us each moment. Most importantly, while I urge you to enjoy and appreciate the life you've been given, I implore you to prepare for the eternity that awaits. Nothing could be more important! An excellent resource for doing that can be found at NeedGod.com. Thank you so much for stopping by today, dear readers and cherished friends! It means so much that you took time out of your day to visit! I'd love to hear from you in the comments section below before you go! Wishing you a wonderful upcoming weekend! 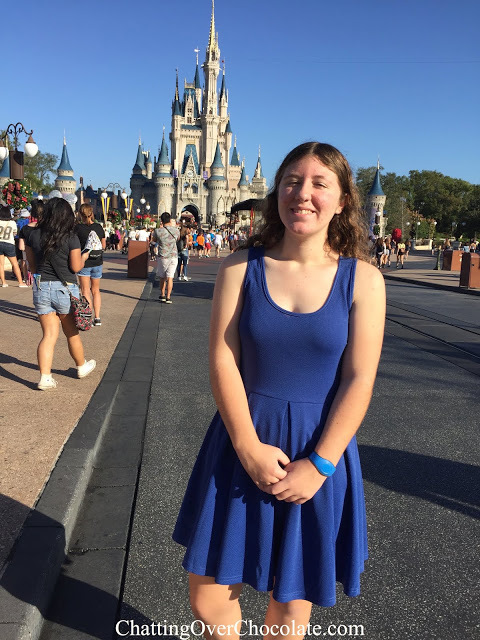 Direct Link to Blog Post: Trip Report Tuesday - WDW Day 7 Part 2 // Princess' Sweet 16th Birthday Dinner at Epcot + Mother/Daughter Night Out at Disney Springs! And you, my dear friend, are a gift! Love your love of life and family. My mom has those same ivy plates. Loving the sweet cousin, family time. Keep on enjoying right into this weekend. May the sun shine on your pretty face. As are you, dear darling friend of mine! :) Thank you so much, sweet Andrea! xo! So many smiles! I love that your girls each got one on one time with family members and you all spent time with your sister's family as well. I too turn 40 this year and I'd love to spend it at Disney!! Thank you, sweet Nik! Yes, it truly is!! <3 xo! Wow your kids are amazing! I love that your daughter has a passion for knowledge. Time by yourself with your grandparents is always a fun. I love how family oriented your week was, that's true goals! You and your family had such a great week! So much family fun and delicious eats! Have a great weekend! Family time and fantastic food, what could be better, right? :D Thanks so much! Great to hear from you, as always!! what a wonderful week. So true about life, it all changes in an instant. Love everything and everyone around you. 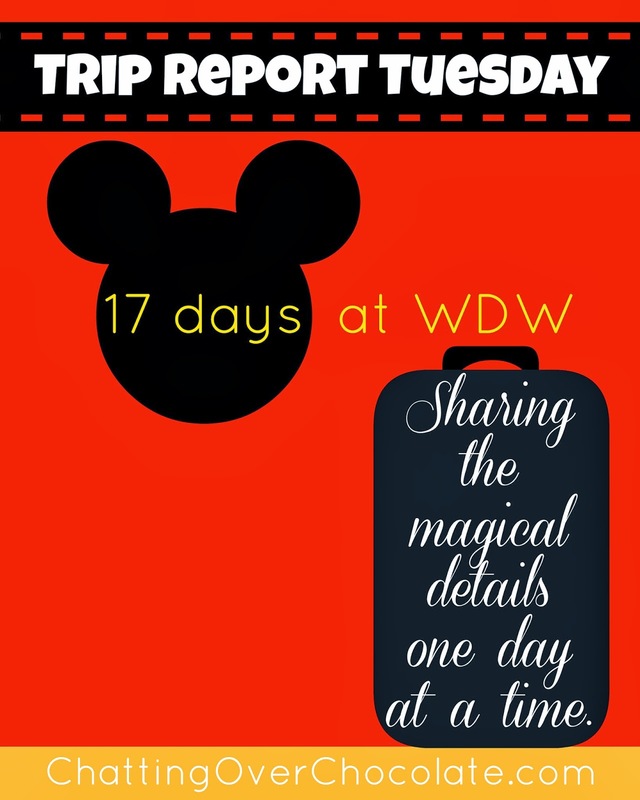 Enjoy WDW! So much fun! Have a great weekend! Welcome, Kaz! I'm delighted to have you here!! I appreciate your kind words! I loved hearing that we blog in a similar fashion too! :D I hope you're enjoying a lovely summer! Thanks again for reading and for taking the time to comment too! It was wonderful to hear from you!! I turned 40 last summer and unlike you, I dreaded it... but, you are SO right! Life is truly a gift. I was heartbroken over the Missouri people that passed away in the duck boat accident and to think we were just on it the month before. You just never know and every minute counts! Oh, my son is going to have a day to himself with my parents on Monday and he is so excited. My daughter will be in dance camp. I'm looking forward to a me day! Ha!! 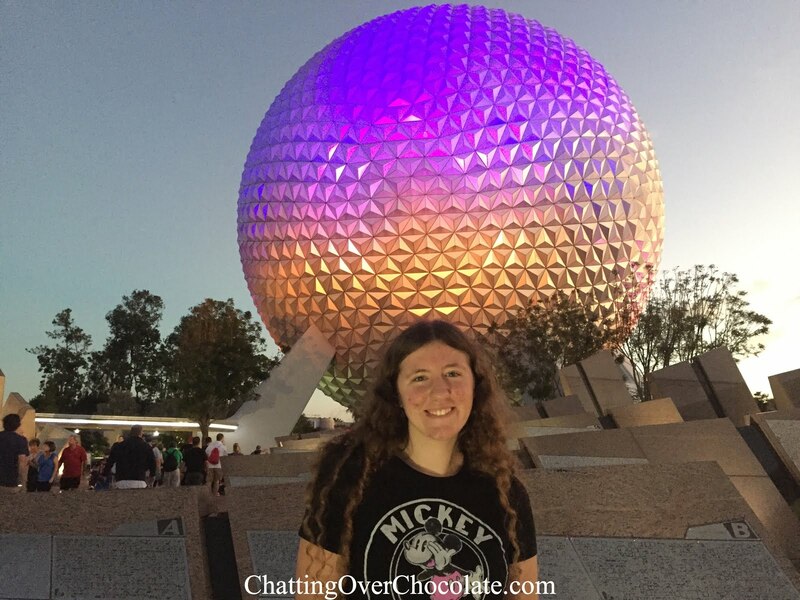 I am getting excited about planning next summer's trip to Disney near the end of this year! Oh, Carrie. I am sure the news of the duck boat accident hit you especially hard after having just recently enjoyed it with your own family. That was such a heartbreaking tragedy. You are so right, sweet friend. Every moment truly is a gift that we definitely shouldn't take for granted! I hope your kids both had a blast (I'm sure they did!) and that your "me day" was wonderfully refreshing too! YAY for another Disney trip to plan SOON! I think planning is a big part of the fun too! Enjoy!! What a wonderful week!! My 35th is coming up soon and I’m embracing it! Happy Weekend to you! Yay! I love that, sweet friend!! :D xo!